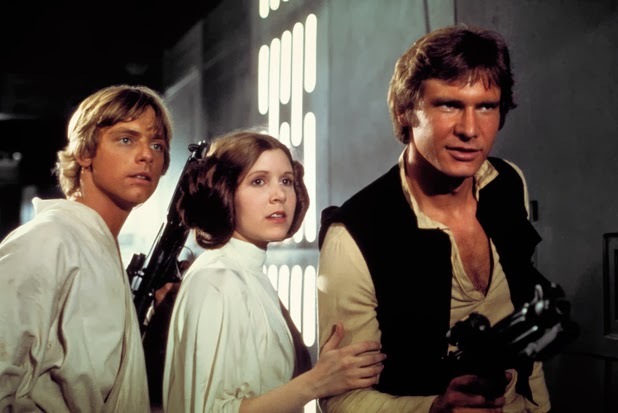 So, yeah, even though we've had no confirmation, it sounds like we'll be seeing Han, Luke and Leia back on the big screen in 2015! And if you want to believe any of the recent rumors, the "big three" might have a much bigger roles than we first imagined. But, as always, we will await official word from Lucasfilm. In the meantime, feel free to geek out with us in Club SWU on Facebook! OOOOOH MYYYYY GOOOOOOOOOOOD YES. J.J, you better make Luke epic, Han subtle and Leia barely involved in the story. Keep C3PO and R2D2 but bring in fantastical characters to carry the story in an interesting way. May the force be with you Abrams. Funny, according to JJ Abrams announcement, they just finished the script and don't plan on going into real production until May. Carrie prolly did too much coke the night before her interview.